We were planning for a vocational tour when my husband came up with the idea of South Africa as one of the most beautiful places to visit. He actually became specific by narrowing down to Durban in South Africa. I never imagined that the place could be so wonderful until the time we visited Durban in South Africa and experienced so much. Our tour in Durban is something that remained in my memory for quite some time and even at the moment I am still having clear pictures of spectacular places in my mind. We are planning to have another visit to that wonderful place so that we can enjoy the serenity of the place once again. We started our tour in Durban by visiting the Durban Botanical Gardens. This wonderful botanic garden contains very rare plants, exquisite orchids and charity tea parties that usually draw visitors to it. The place was so romantic when we visited it and we felt so good being in the place. It is a very good place for a garden wedding. We managed to take many pictures. Being that we love photography so much, we had a very special and enjoyable experience in this botanic garden where there were several places to just sit and relax. The place is so wonderful for just a peaceful wondering together and really made use of that time to bond our marriage even more. We just walked for some time in silence as we had some historical thinking about the people who created this several years ago. We moved to the Durban North Japanese gardens which had a very beautiful and relaxing view. This is a very great garden where you can take your family for a quiet relaxing picnic. It also has the playgrounds for your children if you are taking your children to the place. When we went there, it was so serene with the good looking nature, lots of shades for rest and enormous space for everyone who wants to have some good quiet times in the garden. 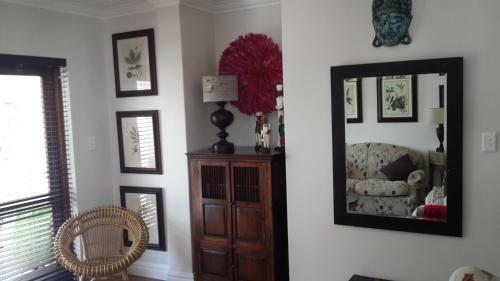 It was kept very clean for a great tour with my husband who loves everything very tidy. This place is known to be a very lovely oasis of calm and beauty in the suburb of the North Durban. The garden was open even on a Sunday when we went there and we realised that it is open every day in the week and entry was free. We decided to travel around the Durban city with Durban Day Safaris. They actually offer Durban City tour, big 5 game reserves, township tours, Zulu cultural experiences and more. They also have very experienced and knowledgeable guides. 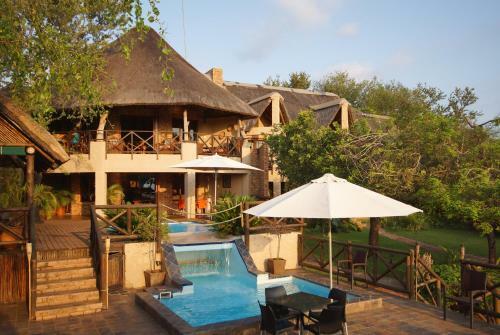 It is perfect for those in need of safari experience closer to Durban because you can choose to go to the popular Tala Private game reserves. We had a great experience and the animals were just looking very wonderful and well taken care of. This is a breath taking experience kind of place that no one can really afford to miss. We had a lot of fun and a great day out for just the two of us enjoying everything in the safari with very professional guides who helped us so much and treated us well. That was the best experience that I have ever had in my life and I will want to have it again next time I visit Durban. We took to the Urban Adventures –Durban City Walk Tour. This is a wonderful way to have an adventure in Durban. You can walk down the paved promenade on the sea front and you will see how wonderful it looks with walkers, runners, casual cyclists and prams in one space. We enjoyed ourselves in the beaches as there were several beaches there to have a sand bath and we also did some swimming in the full-size swimming complex. This place just had quite a variety of entertainment sites to explore and have a wonderful time just being in the place together with my husband. The guide we had was good and very fascinating to talk with as he gave us good ideas and we enjoyed the unique local perspective of the city. This is something I would want to do again when I come back to Durban. We moved to the Durban Gallery on Smith Street. This place has wonderful African pottery and even some other crafts that are perfectly displayed in the museum. Such are very wonderful items of art that we loved so much. There were also some historic collections at the city centre gallery as well as the portrait of the TS Eliot. The architecture of the interior of the building was also good enough to admire with the round balcony on the floor that created some form of mezzanine effect. It was also equipped with tiles and glass windows. All these made the trip very unique and perfectly wonderful to admire. This is another place that gave us a hope to plan for another trip to Durban South Africa so that we can have more of this once again in our lifetime. We decided to have the Intrepid Urban Adventures Africa – Day Tours. We had a wonderful tour through the town and to the villages of Durban and they were so wonderful and made us feel so good about our tour. The guide that we had was very amazing, cooperative and good to be with. He could give us advice all the time and talked to us so well. He treated us with so much respect and we were able to get so much from the tour. We visited several places that were quite amazing and attractive to be in. That whole day tour in the whole city made my husband want to have another day touring in the places again to have more of that but we had to move to another attraction to get more. So we went to art SPACE Durban that is situated at 3 Millar Road off Umgeni Road. This place was full of art galleries and the arts were so wonderful and good to look at. They were very attractive and made with special decorations that made us to admire them so much. We decided to even buy some arts that were being sold to take back home and every time I see the arts that I took home, I realize that I actually carried some part of Durban home. It has been so wonderful to have the arts in the house and my husband also loves them so much. They make us want to go back to Durban to have more of that all the time. We decided to visit the Durban Ramblers Hiking club to have some fun. This hiking club actually has local members and it is also a beauty spot. The hiking club has at least two hikes a week and we enjoyed one of the hikes that they had within that week. They actually pick up different places each week and that particular week, it was as wonderful as we visited very attractive places for a good hike. There was also a beauty spot for those who may want to get a work out in the process of the tour. These activities were so good especially for the physically fit people like us and we loved them so much. The hike was very wonderful and I can actually recommend them to anyone who is ready for a great hike in Durban. We loved everything in the place and it was so wonderful to be in Durban South Africa. We are currently planning for another visit to the place as it is a great place to be in. We want to experience the good things again and enjoy ourselves once more in Durban South Africa.